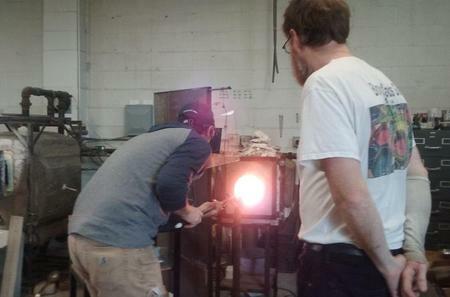 ...er you make your glass item, you'll get a tour of Fremont, see the famous Fremont Troll, and stop at Theo's Chocolates. 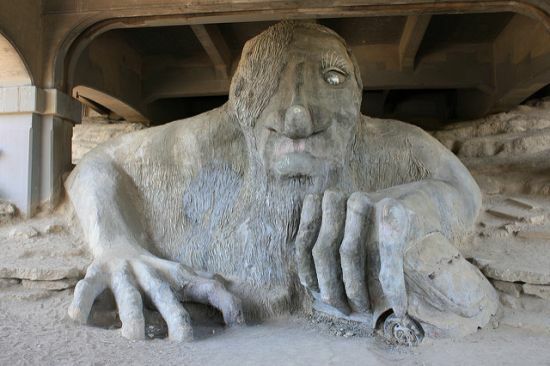 The Fremont neighborhood of Seattle is known for its counterculture, and the Fremont Troll stands as the epitome of the neighborhood's zeitgeist. The 5.5 metre high concrete statue by 4 local artists - Steve Badanes, Will Martin, Donna Walter, and Ross Whitehead, depicts a troll eating a full-size Volkswagen Beetle under Aurora Bridge. The Fremont neighborhood of Seattle is known for its counterculture, and the Fremont Troll stands as the epitome of the neighborhood's zeitgeist. The 5.5 metre high concrete statue by 4 local artists - Steve Badanes, Will Martin, Donna Walter, and Ross Whitehead, depicts a troll eating a full-size Volkswagen Beetle under Aurora Bridge. A popular landmark since its creation in 1990, this wacky roadside attraction is a must-see.